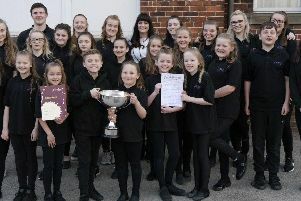 Creative pupils and staff at Hill House School in Doncaster showed their showbiz side when they had a Disney Day to raise funds for Children In Need. During two Disney Days they managed to raise a fantastic £4,000. Highlights included head of Hill House Juniors, Jonathan Hall, and Year 6 teacher, Steve Marsh, put in the stocks while pupils armed themselves with wet sponges. Other highlights included a performance by the school’s jazz orchestra and a visit by Mountview Academy Theatre of Arts.